Offers a full selection of high-performance LCD Video Wall. Our LCD Video display systems delivers unparalleled brightness, precision, and visual performance. Offering ultra-narrow bezels and a thin-profile design TV Wall, LCD Video Wall create an immersive display platform for your content. Developed for mission-critical operations, Our video walls are 24/7 reliable and offer extreme longevity and value. At present, LCD splicing screen can be divided into Samsung and LG series according to the different screen used. The conventional size is 43, 46, 49, 55 inches. According to the brightness of the product and the splicing gap after splicing, the splicing screen can be roughly divided into 1.7 mm, 1.8 mm 3.5 mm, 5.5 mm, 8 mm. According to the brightness, it can be roughly divided into two kinds of 500cd/㎡ and 700 cd/㎡. Shipping Time. : 7-12 Days via Airfreight or 25-45 Days via Seafreight 1/1 $70/ea. Shipping Time. : 7-12 Days via Airfreight or 25-45 Days via Seafreight 10/9 $45/ea. Shipping Time. : 7-12 Days via Airfreight or 25-45 Days via Seafreight 1/1 $123/ea. Shipping Time. : 7-12 Days via Airfreight or 25-45 Days via Seafreight 10/9 $80/ea. Shipping Time. : 7-12 Days via Airfreight or 25-45 Days via Seafreight 1/1 $167/ea. Shipping Time. : 7-12 Days via Airfreight or 25-45 Days via Seafreight 10/9 $108/ea. Shipping Time. : 7-12 Days via Airfreight or 25-45 Days via Seafreight 1/1 $218/ea. Shipping Time. : 7-12 Days via Airfreight or 25-45 Days via Seafreight 10/9 $142/ea. Shipping Time. : 7-12 Days via Airfreight or 25-45 Days via Seafreight 1/1 $430/ea. Shipping Time. : 7-12 Days via Airfreight or 25-45 Days via Seafreight 10/9 $279/ea. Shipping Time. : 7-12 Days via Airfreight or 25-45 Days via Seafreight 1/1 $390/ea. Shipping Time. : 7-12 Days via Airfreight or 25-45 Days via Seafreight 10/9 $253/ea. Shipping Time. : 7-12 Days via Airfreight or 25-45 Days via Seafreight 1/1 $584/ea. Shipping Time. : 7-12 Days via Airfreight or 25-45 Days via Seafreight 10/9 $380/ea. Shipping Time. : 7-12 Days via Airfreight or 25-45 Days via Seafreight 1/1 $877/ea. Shipping Time. : 7-12 Days via Airfreight or 25-45 Days via Seafreight 10/9 $570/ea. Shipping Time. : 7-12 Days via Airfreight or 25-45 Days via Seafreight 1/1 $2338/ea. Shipping Time. : 7-12 Days via Airfreight or 25-45 Days via Seafreight 10/9 $1519/ea. Shipping Time. : 7-12 Days via Airfreight or 25-45 Days via Seafreight 1/1 $1656/ea. Shipping Time. : 7-12 Days via Airfreight or 25-45 Days via Seafreight 10/9 $1076/ea. Shipping Time. : 7-12 Days via Airfreight or 25-45 Days via Seafreight 1/1 $1851/ea. Shipping Time. : 7-12 Days via Airfreight or 25-45 Days via Seafreight 10/9 $1203/ea. Shipping Time. : 7-12 Days via Airfreight or 25-45 Days via Seafreight 1/1 $4432/ea. Shipping Time. : 7-12 Days via Airfreight or 25-45 Days via Seafreight 10/9 $2881/ea. Shipping Time. : 7-12 Days via Airfreight or 25-45 Days via Seafreight 1/1 $4140/ea. Shipping Time. : 7-12 Days via Airfreight or 25-45 Days via Seafreight 10/9 $2691/ea. Shipping Time. : 7-12 Days via Airfreight or 25-45 Days via Seafreight 1/1 $1757/ea. Shipping Time. : 7-12 Days via Airfreight or 25-45 Days via Seafreight 10/9 $1142/ea. Shipping Time. : 7-12 Days via Airfreight or 25-45 Days via Seafreight 1/1 $1951/ea. Shipping Time. : 7-12 Days via Airfreight or 25-45 Days via Seafreight 10/9 $1268/ea. Shipping Time. : 7-12 Days via Airfreight or 25-45 Days via Seafreight 1/1 $4533/ea. Shipping Time. : 7-12 Days via Airfreight or 25-45 Days via Seafreight 10/9 $2946/ea. Shipping Time. : 7-12 Days via Airfreight or 25-45 Days via Seafreight 1/1 $4240/ea. Shipping Time. : 7-12 Days via Airfreight or 25-45 Days via Seafreight 10/9 $2756/ea. Shipping Time. : 7-12 Days via Airfreight or 25-45 Days via Seafreight 1/1 $964/ea. Shipping Time. : 7-12 Days via Airfreight or 25-45 Days via Seafreight 10/9 $627/ea. Shipping Time. : 7-12 Days via Airfreight or 25-45 Days via Seafreight 1/1 $1446/ea. Shipping Time. : 7-12 Days via Airfreight or 25-45 Days via Seafreight 10/9 $940/ea. Shipping Time. : 7-12 Days via Airfreight or 25-45 Days via Seafreight 1/1 $820/ea. Shipping Time. : 7-12 Days via Airfreight or 25-45 Days via Seafreight 10/9 $533/ea. Shipping Time. : 7-12 Days via Airfreight or 25-45 Days via Seafreight 1/1 $1096/ea. Shipping Time. : 7-12 Days via Airfreight or 25-45 Days via Seafreight 10/9 $712/ea. Shipping Time. : 7-12 Days via Airfreight or 25-45 Days via Seafreight 1/1 $478/ea. Shipping Time. : 7-12 Days via Airfreight or 25-45 Days via Seafreight 10/9 $311/ea. Shipping Time. : 7-12 Days via Airfreight or 25-45 Days via Seafreight 1/1 $605/ea. Shipping Time. : 7-12 Days via Airfreight or 25-45 Days via Seafreight 10/9 $393/ea. 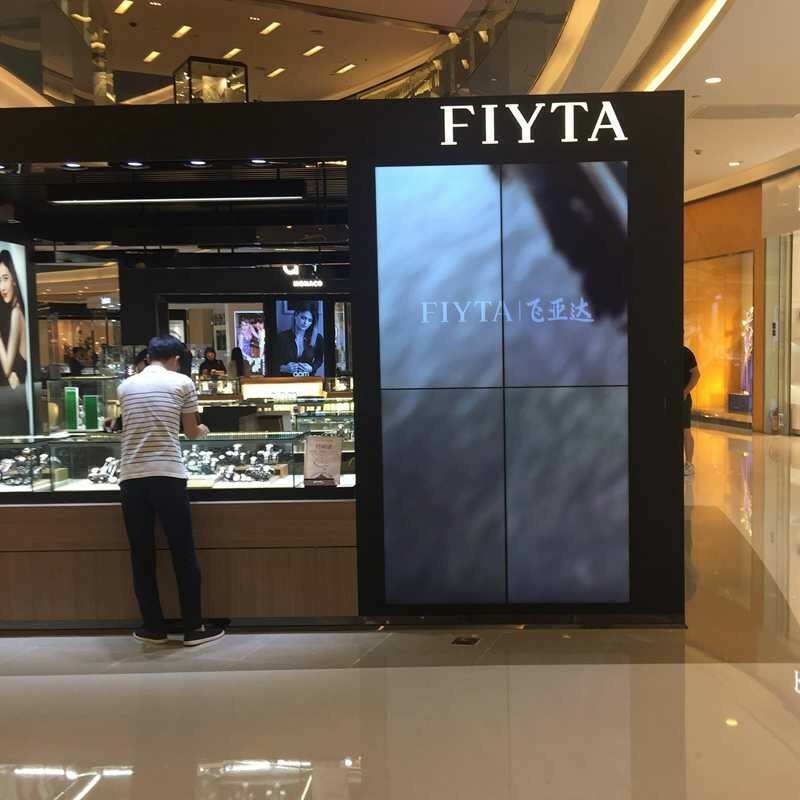 Ultra-narrow Bezels LCD Video Wall Screen:LCD displays feature a thin-profile design and a screen-to-screen bezel width of as little as more. This design minimizes the appearance of “seams” on the video wall, creating an immersive visual experience.24/7 Industrial grade Reliable Continuous Operation:Our LCD video walls are designed for use in 24/7 control rooms and other critical environments that demand continuous operation. LCD display 1920×1080 resolution.IPS LCD Video Wall Screen:displays feature IPS LCD, a display technology that delivers superior color reproduction and wider viewing angles than traditional TFT LCD. Images appear vibrant, colors are rich and nuanced, and content is clearly visible on your displays – even to viewers located at distances or extreme angles.Built For Easy Serviceability:LCD video walls are engineered for easy serviceability. Our front-access push/pull mounting system allows any display to be pulled away from the video wall without affecting adjacent displays.Active Back-lighting System:displays are built with active backlighting technology, which prompts the LED backlighting to adjust automatically to content displayed on the screen. This system produces a larger color spectrum and higher contrast ratios for a superior viewing experience.Anti-reflective Glass:LCDs feature anti-reflective glass, which diminishes reflections and increases the brightness of the displays. We also offer an anti-glare option for applications where the video wall will be primarily viewed on-camera.